18 color plates, 30 figs. In 2004 the National Museum of the American Indian (NMAI) opened to the general public. This book, in the broadest sense, is about how that museum became what it is today. For many Native individuals, the NMAI, a prominent and permanent symbol of Native presence in America, in the shadow of the Capitol and at the center of federal power, is a triumph. 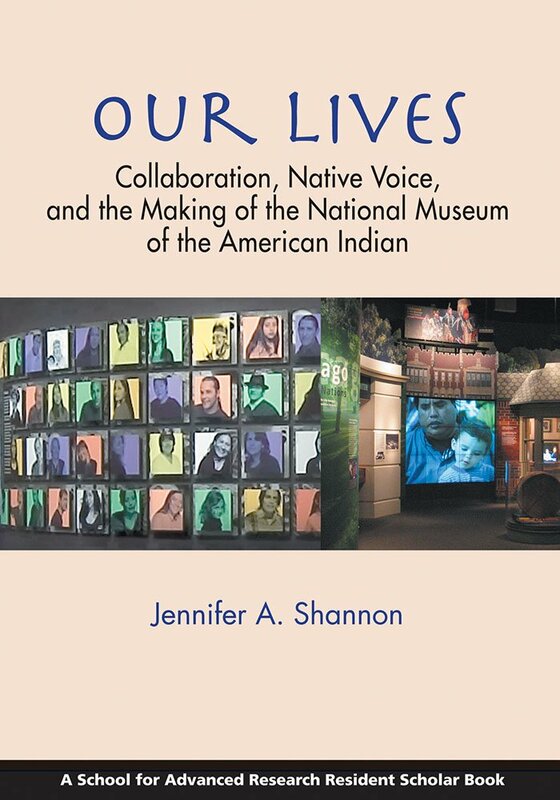 At the grand opening, the museum’s main message was “We are still here.” This message was most directly displayed in Our Lives: Contemporary Life and Identities, one of the NMAI’s inaugural exhibitions and the main focus of this book. Ultimately, this is a record of the sincere efforts—and conflicts and achievements—experienced by those who planned, developed, and constructed the NMAI’s inaugural exhibitions. It is a narrowly focused account of a particular kind of curatorial practice called “community curating.” It is also an account of many different people struggling to do their best under the weight of a monumental task: to represent all Native peoples of the Americas in the first institution of its kind, a national museum dedicated to the first peoples of the hemisphere.